Virtual School Victoria » Bowen Makes Waves! Year 12 VCE student Bowen Gough has been making waves himself this year successfully combining study with DECV, Global Politics and Legal Studies, with his heavy sporting commitments as an elite swimmer. Bowen has a very rigorous training schedule with nine swim sessions and three strength/conditioning sessions a week, commuting to Melbourne on a daily basis from Bass. Competing at the 2017 Australian Age Swimming Championships held at the Brisbane Aquatic Centre in April, Bowen collected and impressive six national medals. He travelled to the USA in August to compete in the 2017 US Open Swimming Championships. Bowen had a phenomenal meet competing against the best in the USA and won a in the men’s 200m Butterfly in a personal best time of 1.59.15. 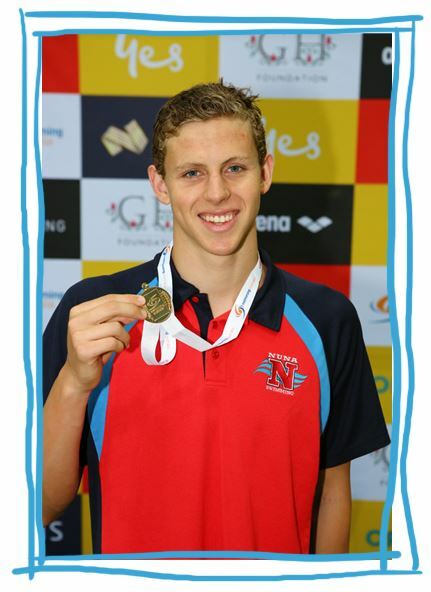 He also finished 10th overall (2nd in the B Final) in the 100 Butterfly and competed in the 100m and 200m Backstroke. Bowen is currently in training before leaving to compete overseas ahead of next year’s Commonwealth Games trials.